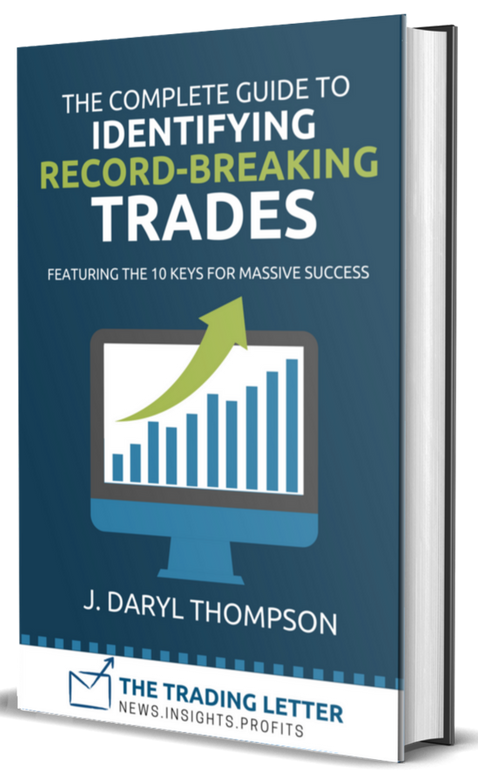 The Complete Guide To Identifying Record-Breaking Trades. ALL major medical stock breakouts share similar KEYS leading to massive explosion...this ebook identifies the 10 factors that YOU can use to trade for potentially massive medical gains. AND 1 Year Free subscription to TheTradingLetter.com newsletter. My research has revealed the 10 codes that all huge stock movements have in common. They don’t all share ALL 10 codes, but they all have at least ONE code in common. Step-By-Step analysis so you can identify the key, it’s importance, and the next TRADE ACTION to take! These two factors are the game changer in the medical market. And these factors, when they align as I lay out, could drive a stock to the moon! THE STOCK READY TO ROAR! It’s a stock that popped out to me in my research that I had to highlight as one to watch, so get it inside my ebook. DOWNLOAD A FREE COPY OF MY EBOOK NOW!